At Morgan & Morgan, we’re committed to equality, justice and accessibility. The Morgan & Morgan Deaf and Disability Rights Unit works with deaf, deaf blind, hard of hearing, and persons with other disabilities to fight against discrimination and other injustices. Our deaf and disability rights attorneys handle civil cases involving all kinds of discrimination faced by persons with disabilities. Unfair or discriminatory practices against people with disabilities can occur in a variety of ways, including the denial of interpreters, lack of structural accessibility, and denial to programs and services based on a person’s disability. If you are a person with a disability and have a legal problem that is not based on your disability, for example a car accident case, a medical malpractice claim or any other personal injury claim, please contact us. Morgan & Morgan is committed to providing the appropriate accommodation needed to provide persons with disabilities equitable access to lawyers who practice in all areas of law. Our attorneys are happy to speak with you regarding any of your legal issues. If you are not sure if your problem is a legal matter, please contact us and we can provide a free case evaluation. Our Deaf and Disability Rights Unit possesses the experience, knowledge, and dedication to attaining improved access needed to represent persons who are deaf and disabled zealously. The Americans with Disabilities Act of 1990 (ADA) was passed in order to protect the civil liberties of persons with disabilities and ensure equal opportunity in employment, public accommodations, communications, transportation and government services. The ADA defines a disability as “a physical or mental impairment that substantially limits one or more major life activities,” and aims to protect persons who currently have, had had a history or record of such an impairment, or persons who are perceived by others as having such an impairment. In order to comply with the ADA, entities, both private and public, are prohibited from discriminating against qualified individuals and are required to provide reasonable accommodations for persons with disabilities or their companions. 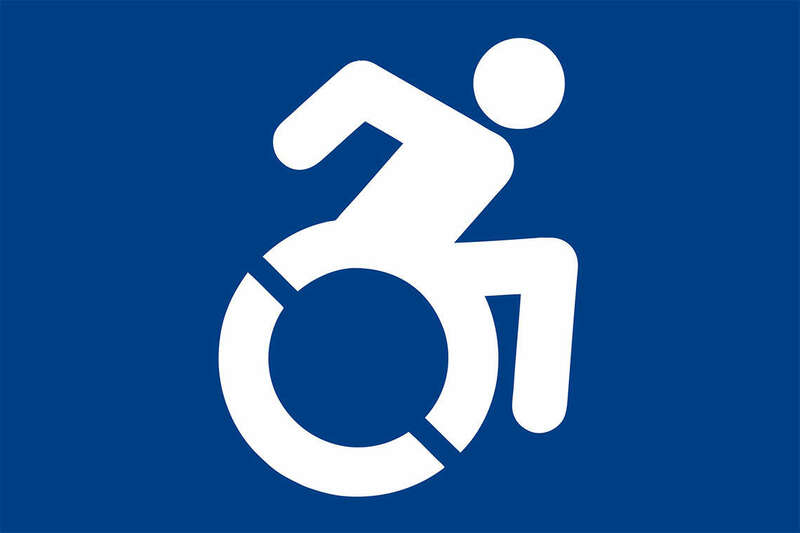 The ADA also states that public accommodations and commercial facilities must be designed and constructed in compliance with accessibility standards. If you have been denied equitable access to any service or as a result of a lack of compliance with the ADA, please contact us for a free case evaluation. Individuals who are Deaf, hard of hearing and or deaf-blind are also entitled to reasonable accommodations in the workplace, along with other rights to protect against discrimination during the hiring process or during employment by employers with 15 or more employees. Places of Public accommodations — such as restaurants, retail stores, hotels, movie theaters, private schools, convention centers, doctors’ offices, and other private entities — must also comply with the guidelines of the ADA to ensure individuals who are Deaf, hard of hearing or deaf-blind are provided equitable access and opportunity to use services. By contrast, an emotional support animal can be any type of domesticated animal, such as a dog, cat, bird, pig, rodent, or reptile. An emotional support animal is defined as an animal that mitigates emotional or psychological symptoms associated with a person’s condition or disability. An emotional support animal is not classified as a service animal under the ADA as it does not perform tasks or do work for an individual with a disability. Rather, its presence helps to provide comfort and emotional support for the individual. Denial of a Service Animal in Public Accommodation: Under the ADA, state and local government, businesses, and nonprofit organizations that serve the public must allow a service animal to accompany individuals with disabilities into any area where the public is allowed. However, these entities have the right to deny access to a service animal that is not under control. This can include a service animal that is not housebroken, a dog that barks repeatedly to the point of disruption, or a dog that wanders away. If you believe you are denied access or service due to your service animal, you may file a complaint with the U.S. Department of Justice, which enforces the ADA and file a private lawsuit. Denial of a Service Animal or Emotional Support Animal in Housing: The law also protects the right of a person with a disability keep a service animal or an emotional support animal in a housing facility that otherwise would not permit pets under the terms of the lease. This right to reasonable accommodation of service animal or emotional support animal is protected by the Fair Housing Act (FHA). A landlord must comply with reasonable accommodation to allow an individual with a disability to keep a service animal or emotional support animal. They may not deny your request for assistance based on the weight or breed of animal. The landlord may not charge a pet fee, but can lawfully charge a security deposit or seek compensation for damages if caused by the animal. If you are denied reasonable accommodation for an assistance animal even after providing a written request from your doctor or therapist, you can file a discrimination complaint with the Department of Housing and Urban Development, which enforces the FHA. Individuals who are Blind or have vision loss also have the right to reasonable accommodations in the workplace and other protections against discrimination. Employers with 15 or more employees must comply with the ADA. Public accommodations are also required to comply with the basic nondiscrimination guidelines of the ADA to provide effective communication and access to individuals who are blind or have vision loss. This can include removing barriers to access and reasonable modifications to business policies, such as allowing a service animal to accompany an individual who is blind or has vision loss. The Fair Housing Act protects individuals with disabilities from discrimination when seeking federal financial assistance housing, state and local government housing, and housing from housing providers that accept federal funding. Landlords cannot deny a housing rental or sale due to an individual’s disability or engage in discriminatory advertising of the housing. It is also unlawful for landlords to charge additional fees, limit the use of facilities, or otherwise change the provisions in the lease or contract due to an individual’s disability. The Fair Housing Act also protects an individual’s right to request a reasonable accommodation, such as allowing a service animal in a residence that otherwise specifies a “no pet” policy in the lease. Individuals with disabilities can also make modifications to their housing in order to make it more accessible through reasonable accommodation, though the landlord is not required to pay for these changes. Lastly, the Fair Housing Act sets a standard for future housing design by requiring all new multifamily housing with four or more units to be accessible for individuals with disabilities. The Americans with Disability Act requires all new and altered places of public accommodation to meet accessibility standards. Places of public accommodation include restaurants, movie theaters, schools, day care facilities, recreation facilities, and doctors’ offices, as well as commercial factories, warehouses, and office buildings. Accessible design covers aspects of a building including entrances, bathrooms, parking, elevators, and more. This may include providing a required number of handicap parking spaces and creating bathrooms that are wheelchair-accessible. It is important to note that all buildings designed, constructed, or altered after January 26, 1993, must comply with ADA standards. Buildings built before this time are not required to comply with ADA standards but must remove architectural barriers to access when it is “readily achievable” to do so. Veterans with disabilities are also protected under the Americans with Disability Act, which uses its own standards separate from the military or the Department of Veterans Affairs to determine an individual’s disability status. The ADA covers any veteran with a physical or mental impairment that substantially limits one or more major life activities. This may include a lost limb, hearing or vision loss, brain injury, or what is considered to be a “hidden disability,” such as post-traumatic stress disorder (PTSD) or depression. As with all individuals with disabilities, the ADA prohibits discrimination against veterans with disabilities in the workplace, when using state and local government services and activities, and in public facilities. Accessibility, effective communication, and reasonable accommodation protect the rights of veterans with disabilities. Public Transportation: Public transportation services, such as buses, subways, and commuter rails, cannot discriminate against people with disabilities. Any newly purchased vehicles must comply with accessibility requirements, and these public transportation services must make effort to purchase and lease accessible used vehicles as needed. In areas where individuals with disabilities are unable to use regular transit systems independently, the ADA specifies that public transportation services must provide paratransit. Paratransit is an accessible service that picks up and drops off eligible individuals with disabilities at their desired destinations. Telecommunications and Internet Access: Individuals with disabilities are protected by the ADA, and other statutes to ensure access to a wide range of telecommunication services, and services offered through the internet. The Morgan & Morgan Deaf and Disability Rights Unit works specifically to protect the rights of deaf, deaf-blind, hard of hearing, and individuals with other disabilities. Our deaf and disability rights attorneys handle cases involving various kinds of discrimination faced by individuals with disabilities. Whether the discrimination takes the form of denial of effective communication, denial of services, or barriers to structural accessibility, our attorneys will fight for you. If you are a person with a disability and have a legal problem that is not based on your disability, for example, a car accident case, a medical malpractice claim or any other legal claim, please contact us — our attorneys are experienced in a variety of practice areas. Morgan & Morgan is committed to providing the appropriate accommodation needed to provide persons with disabilities equitable access to lawyers who practice in all areas of law. If you are not sure if your problem is a legal matter, please contact us and we can provide a free case evaluation.